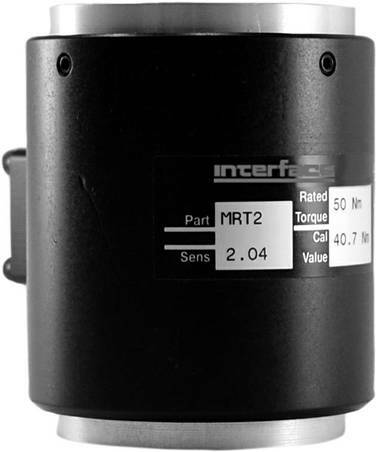 The Interface Model MRT2 Miniature Overload Protected Reaction Torque Transducer from AMS Instrumentation & Calibration, features low deflection and high torsional stiffness. The MRT2 features proprietary interface temperature compensated strain gauges and covers ranges from 0.2 to 50 Nm (1.77 to 433K lbf-in). The 0.2 and 2Nm version provides overload protection to 3 times capacity.